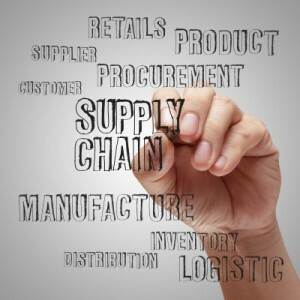 Effective purchasing management is required for companies to control their costs of inventory, and to ensure proper order fulfillment. AdvancePro provides the necessary tools for companies to buy the right products or raw material from the right vendor, in the right quantity, at the right time, and at the right price. Within AdvancePro, each inventory item can be assigned multiple vendors, enabling side-by-side price comparisons. If an inventory item falls below minimum re-order amount, a notification is triggered automatically. This reduces the possibility of stock-outs. ETAs can be entered per line item on an order for more accurate operations management. Also, items on back order from the vendor are designated as such on the customer order. Vendor Purchase Orders can also be assigned and tracked as Jobs, for better project management efficiency. On the receiving side, inventory can be received into multiple warehouses. Items can be bought and received in multiple Units of Measure. Drop shipments can be executed with one click in the drop-ship box on the Vendor Order, sending the product directly from the vendor to the customer. Freight charges can be assigned to an item to calculate the true landed cost. The flexibility and power of AdvancePro’s purchasing engine provides the edge needed for companies to excel in all their buying and selling.